Hi, just after seome advice really. 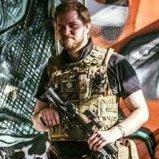 There are apparently no airsoft shops within a reasonable distance from sheffield to get a service done, so i was just wondering where other people had their gear serviced. I need a gearbox probably replacing and just a general service as the gun is second hand with a couple of problems. I just dont want to be posting it unless i know the shop is reputable. Closest full on shop is Patrol Base in Huddersfield, before I learnt how to do all the work myself that's where I sent my guns. However, there is a new shop which just opened on Malin Bridge called Ops-7, I've not checked it out yet, but they MIGHT offer a repair and upgrade service. Worth going to ask if nothing else. It's run by the guys who run The Stan CQB site on Ruttland Road. nice guys with some nice kit. very helpful.